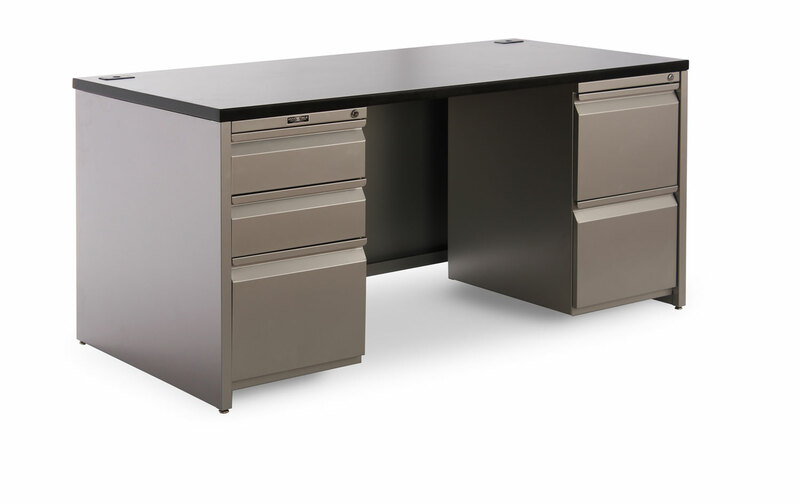 Contemporary Plus desks from Invincible Furniture. All Contemporary Plus product ships fully assembled. Contemporary Plus product features full pedestals which are suspended (hanging) from the work surface but leave a slight opening between the bottom of the pedestal and the floor which makes cleaning the floor easier and allows for easier mobility. Back panels available in Full "F1" height and Open Access (X back). Pedestals are full height pedestals. Grommets available with shorter ped option, not available with full depth ped option. 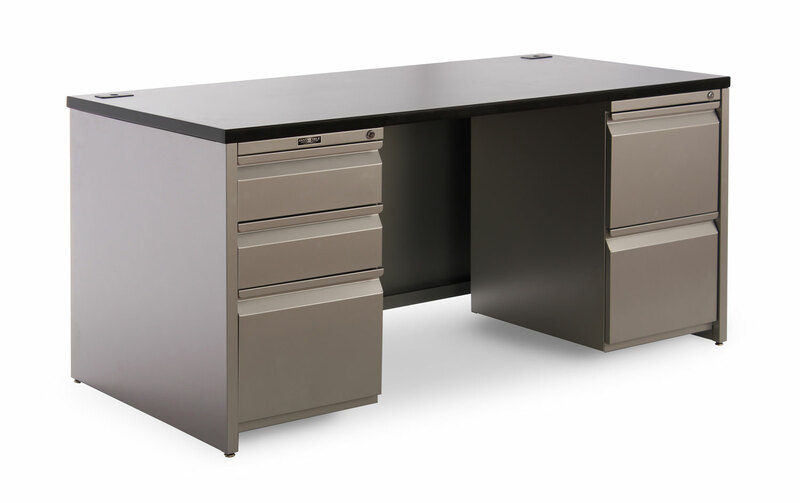 Optional non locking center drawer operates on ball bearing suspension. Worksurfaces feature 1-1/4" HPL with PVC edge banding. File drawers feature high sides for hanging folders. Compressor optional. Box/File pedestal units come with their own lock. All peds letter width. Box drawers come standard with one divider. 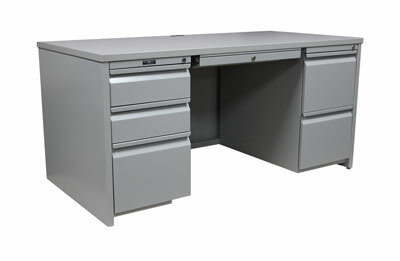 Available with casters to make a mobile desk. Available in all 43 standard paint colors and any WilsonArt laminate! Available with standard depth peds (28-3/4") or shorter peds (22-3/32"). Note grommets may be used with shorter depth peds only.